With each passing year, it’s becoming harder to pick a premium theme to start your new project, or refresh the looks of your current one. Thank god free themes are becoming better. 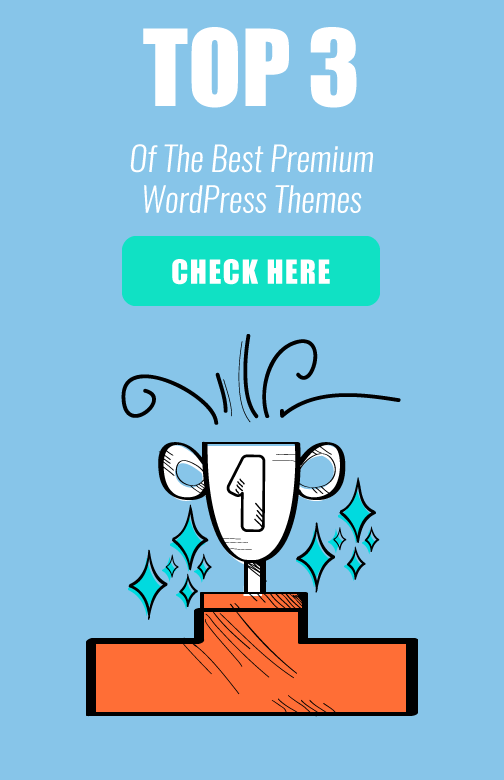 After recently reviewing Astra WordPress Theme I thought that I will never have the opportunity to interact with another free WordPress theme that is so flexible. Usually, you have to pay for more functions and more options. Even though I love Astra and what this theme does, I’m now confused. I no longer know which theme is the best free WordPress theme on the market: Astra, or the one I’m going to review in this post. The theme I’m going to introduce today is called OceanWP. I don’t quite get the name of the theme, but it’s not so relevant. The important thing is that this WordPress template will change our perception of free WordPress themes. In most of the cases you expect a few options when you install a free theme: A way to set your homepage; One or no options to configure your blog layout; The basic fonts; Buttons only if you install some plugins; A chance that this theme will no longer work properly when WordPress gets updated. The rest of the functions are available only if you decide to upgrade. Fortunately, this is not the case with OceanWP. This theme is currently active and used on more than 100,000 sites (according to WordPress.org). And the amazing part is that it has not even passed a year since it was created – The theme was first announced October 2017. 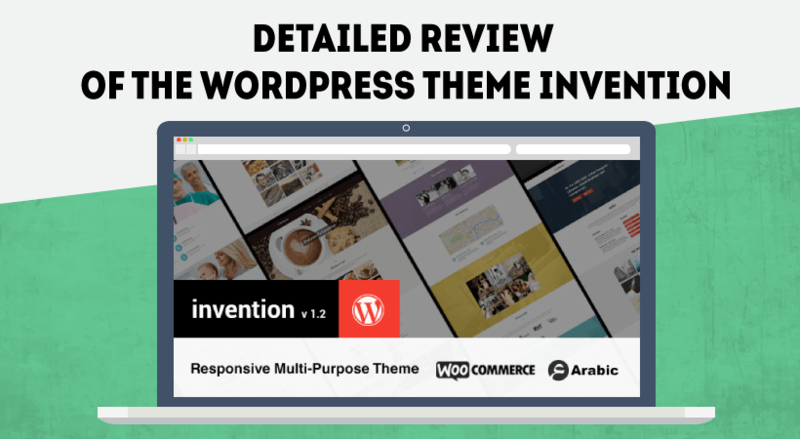 Hold on tight and get ready for another amazing, extraordinary detailed, WordPress theme review. We’ll see what OceanWP theme is capable of doing and finally, we will check which theme is better: Astra or OceanWP. Before we dive deep into the waters of OceanWP, let’s see if this theme is even something you should consider. I’m not gonna waste much of your time. Yes, it is. It’s a powerful enough theme to satisfy even the most complicated project. If the main demo doesn’t spark joy, you can select one of the other 34 available demos. More about the demos later though. Not only that. The theme is fully compatible with WooCommerce and you can create your online store with ease. There are also other cool features that will power up your online store. So, no matter what type of site you’re creating: personal blog, gym membership community, a site for a local lawyer, online shop, restaurant menu, jewelry store, or your mom wants to start her new venture, you can count on OceanWP. Did I mention that OceanWP is free? I think I did at least a couple of times. 2) You can simply access your WordPress dashboard and find the theme when you access Appearance > Add new theme. It will take a couple of seconds the installation to finish and you can press then Active – the activate button appears once the theme is installed. Much better than downloading the theme on your local computer and later uploading it. Elementor: This is the most powerful free drag and drop page builder. This theme is so powerful thanks to this plugin. Ocean Demo Import: You need this plugin to import the available demos of the theme. That’s the only purpose of this plugin. Ocean Extra: This plugin is part of the core of the theme. It allows you to add extra features like widgets, metaboxes, import/export and a panel to activate the premium extensions. Select all the plugins by clicking on the checkbox below and press Install. I love that the plugins are installed and activated with a press of a button. Usually, you need to activate the plugins after they’re installed. Here you save a step. Not that it’s so important but the little things sometimes make a difference. The price for this extension is $9.99. No thank you. I prefer going with the free options. 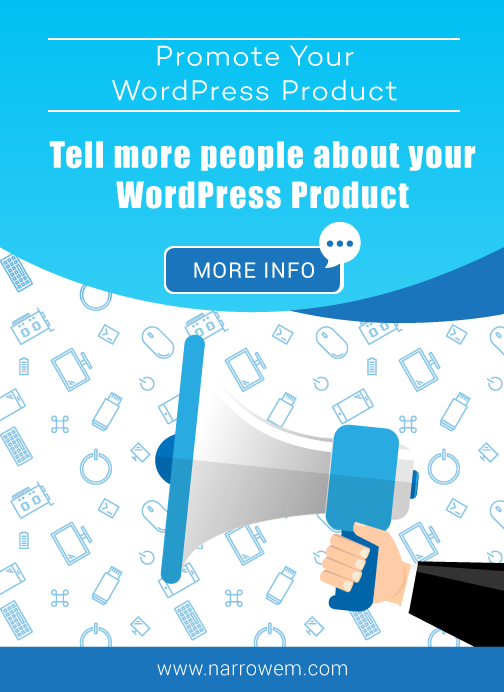 HOW TO INSTALL OceanWP WORDPRESS THEME DEMOS? On the top, you will see the different demo categories. Below are the demos. Once you hover over one of the demos you can live preview it by pressing the button. Don’t worry, the preview will load on a different tab. Once you’re ready with your choice, simply click on one of the demos. To be honest, it’s not quite intuitive. It’s best to add a button saying something like, press here. You can add a few more plugins. The two at the bottom are paid ones. I will install only Ocean Social Sharing because I want to see what this plugin does. Import XML Data: This will add pages, menus, pictures, everything. Your site will basically look like the demo. Even though it’s a good option, you will later have to remove all the pictures you don’t want. I will go without this option to see what will happen. Import Customizer Settings: This will configure the setting to match the ones on the demo. Import Widgets: It will add all the widgets inside the demo. Press Install this demo to continue. Well, I most definitely don’t want the gym logo in the footer but everything else looks kind of nice. Now, let’s see what are the available options. Why do you need this? This boosts your site performance. When you have fewer things to load, your site will naturally load faster. So, if you’re not using something, disable it from here. You will see your site loading faster, thus you will rank higher in Google. Go through these steps here to setup the main things initially. This saves you time, because otherwise, you will have to go through all the options inside your new WordPress theme. Once you click on “Go to the option” button, you will go to the needed place inside the settings to add it. I must say that this here is really helpful. You can select your primary color, add a picture as a background if you want. Also, you can choose the color of the border color (number 5 inside the screenshot) or completely remove it by making it match the background color. With OceanWP, you can place the desired font in every section of the theme. Everything is adjustable. But if you don’t want to manually change the font for every little detail, you can simply change the fonts for only the Body section and the All headings part. You can choose whether this will be visible on all devices, add padding, and change the colors. Here you can add links to your social media channels. I personally won’t use the top bar function. It’s a nice thing to have but I think is too much for most of the sites. I personally prefer clean and tidy configurations. Make sure to disable the things you’re not planning to use. It will make your site load faster. Layout style: You can decide what will be your layout style. You can choose from wide, boxed, separate. The last will put the different sections of your site in separate boxes. Main Container Width: You can select the width of your pages. Something I really love. A lot of themes stretch your content and it’s making it really hard to read. I believe this option should be present in all WordPress themes. Enable schema markup: You want this option enabled. It will help your site SEO. Layout: In this section, you can decide whether you will have a sidebar and where it should be present. Search result page: You can configure the page when a visitors make a search inside your site. The settings here are similar to the ones above. Enable opengraph: This is nice to have. Again, something that will help you site SEO. 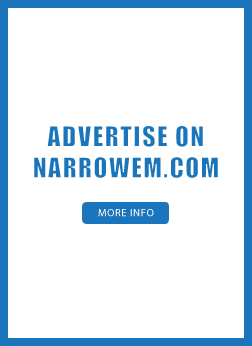 Enable this and add your social media information. One thing that I really love about this theme is the implemented integration with MailChimp. You can further customize the sections here, by going through the options on the page. The cool thing is that you can also enable this on pages. I mean, when you’re creating a landing page with Elementor later. Inside General options tab, you can find even more things you customize with OceanWP. You can configure your Page title; Add scroll to the top button; Set your pagination; Set the desired layouts of your buttons; Decide how your 404 page should look like. Creating a landing page is done with the Elementor plugin. Actually, I don’t think is necessary to go through the process of creating a landing page here. I mean, you can check my detailed review of Elementor if you’re interested. It will explain everything. What I want to show you here, is the options inside the page itself. Here you can further customize your page/post – the same options are available also under all posts. This is an amazing feature. Why this is so cool? Well, for a lot of reasons: Let say you want to add a sidebar to only one page, you can easily do that from Main > Content Layout. You can even choose what sidebar to use. By adding forms to each page you can increase your subscribers easily. Probably you won’t need to use this, but you never know. I love the available options for the blog section. Also, you can enable/disable elements inside the post itself. In our case, since the featured image is added to the header, you can disable it by clicking on the eye. Scroll a bit below to find the related posts options. I’ve set the theme to show two posts only because the default options is 3, and it ain’t pretty. One more thing that it’s absolutely awesome: The social media buttons inside the posts. As you can see, there are a lot of social media channels to choose from. You can put the buttons, above, below, or above and below your content. I will align the text to the center and I will use the Dark style. Also, I’m removing the border radius. Usually, creating a layout like the one you see above, requires a premium theme and at least two plugins: one for social sharing and another one to set the header right. I’m truly amazed by the available options. I still can’t believe that this theme is free. Did you saw the available options? 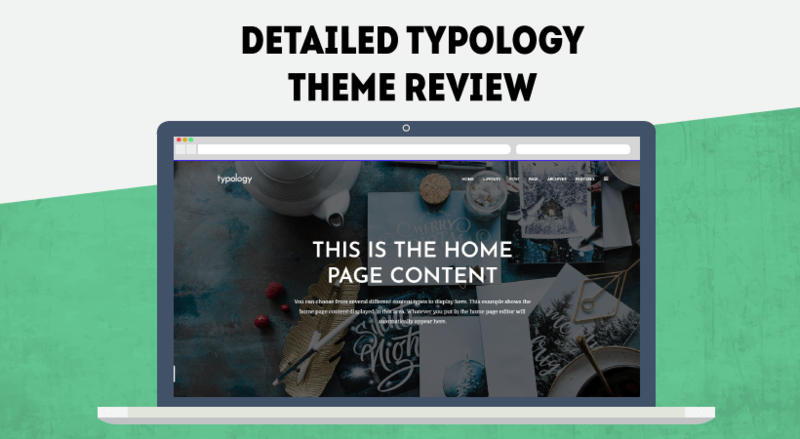 I’ve reviewed dozens of premium themes that don’t have half of the things this free theme includes. Of course, there is an option to upgrade and add even more options – not that you’ll probably need them. I’m kidding. OceanWP premium comes with a couple of additional options and pro demos that will definitely help you in your process and allow you to create a site faster. For $39 a year you can have access to 13 additional extensions and 20+ demos. You can see the full list of extensions here. I don’t think that there are any downsides. 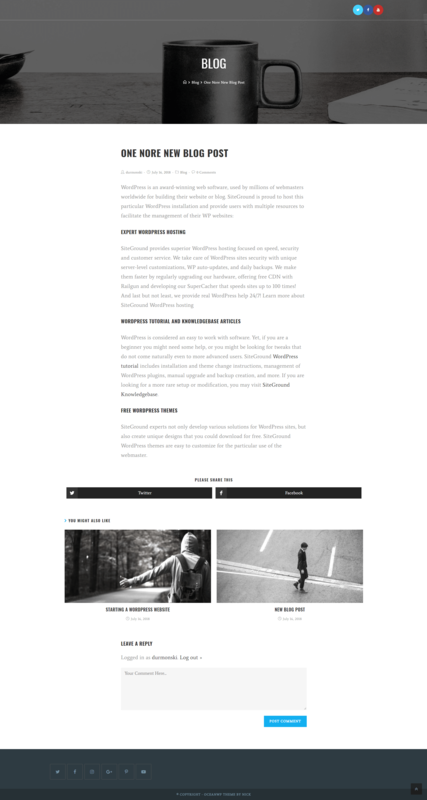 I think that this is by far the best free WordPress theme. You can adjust every little detail inside your WordPress even with the free version. Usually, other developers will ask for money to do most of the things this theme has for free. Let’s go back to our initial question: Which WordPress theme is better, Astra or OceanWP? To be honest, I think that OceanWP wins the battle with just a few points. Still, that doesn’t mean that the war is over. Both themes are new and I’m sure we’ll see even more cool things inside each of them in the future. Have you tried OceanWP? If you haven’t, I strongly recommend using it. If not for your current project, you can use it for your next one. I’m sure that after using this theme for a while, you’ll see that you don’t need to pay for a premium theme. previous post: Detailed Review of Schema WordPress Theme – Is This Really The Fastest WordPress Theme?